Fans watch their favorite players and coaches on stage at the OGN studio. The world's most competitive League of Legends league, Champions Korea, will begin next Wednesday in the new OGN studios. The 800-seat arena is a massive step up from the previous studio, as the old plastic chairs from the former setting have been upgraded to cinema-style seating wrapping around the stage. A two-level viewing experience, the $25 million studio is the premier spot to watch competitive gaming in the country known as the mecca of esports. 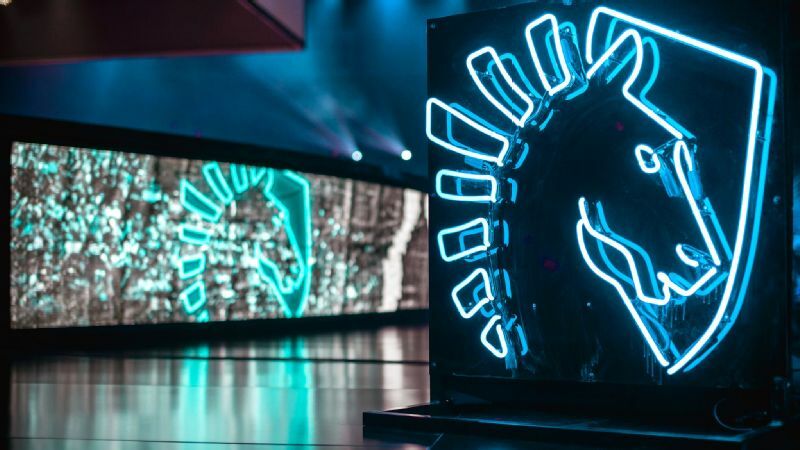 It might confuse you to hear that this state-of-the-art studio, pioneered by the king of gaming production in South Korea, will only be used for roughly half of the games in the summer split of the LCK. The other half will be held in the NEXON Arena and produced by SPOTV, an upstart and growing gaming channel. While OGN will still broadcast all of the games during the split, it won't be able to fully utilize all the tools in the new studio arrangement, with SPOTV broadcasting on Monday, Tuesday, and Wednesday. SPOTV will produce a single series at 8 p.m. local time after OGN's Wednesday slot at 5 p.m., two matches on Thursday and Friday, and then another single matchup at a matinee time slot of 2 p.m. Saturday. All in all, that means except for Sunday, Champions Korea will be on six days a week instead of four. To the casual eye, this would appear to be a good thing. More days equals more games. Except, that isn't the case at all with the LCK summer split. It's the same amount of teams, games and overall matches from last season stretched out to six days instead of four. In place of having fewer nights with more back-to-back contests in the OGN studios, we're given a schedule where we have three nights of single best-of-three matches and the same amount of days with two best-of-three matchups. Outside of growing SPOTV's brand by getting handed the biggest esport by far in Korea, are there any other winners here? The single best-of-three days could be nice for the diehard fans wanting to only catch their team play instead of waiting a few hours for another series to end. But even then, there will be days of LCK where everything will wrap up in less than an hour-and-a-half. You might get a series like the ROX Tigers vs. MVP, where the day will be over before fans even warm up their seats. OGN created Champions four years ago and it has grown into the country's grandest esport league. The only negative with OGN having full rights over Champions was the old studio setup. If you watched OGN matches over the past year, you might notice nights when half or more of those plastic chairs are empty. 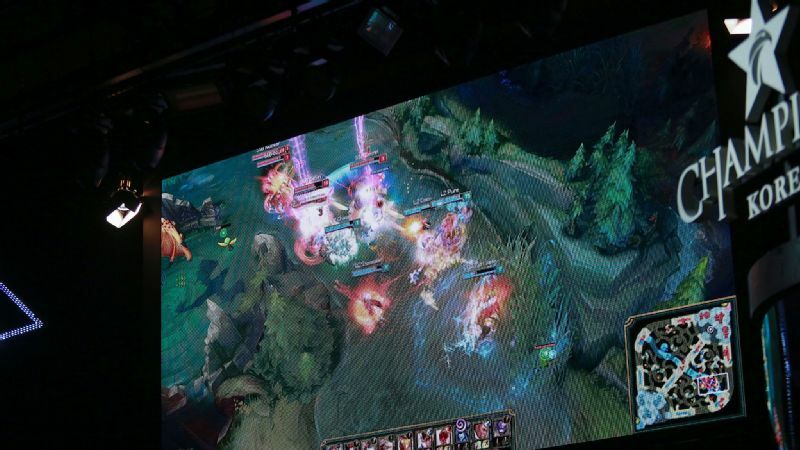 Fans can watch the their favorite teams duke it out on a large screen at the OGN studio. 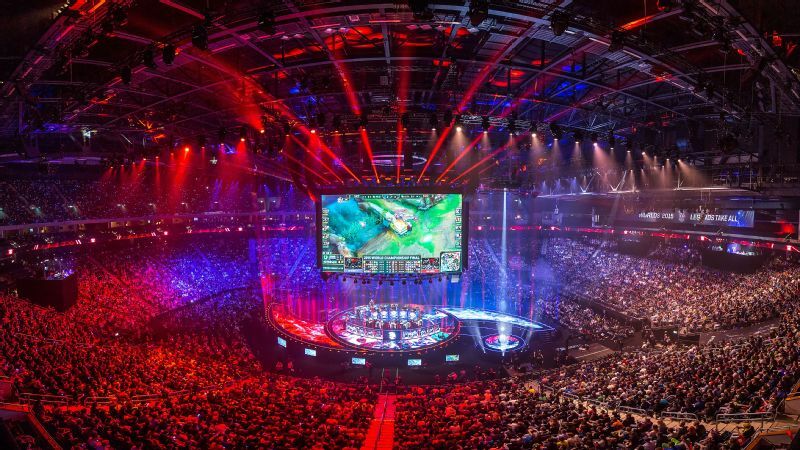 But League of Legends is nowhere near getting small in Korea. It's easily the country's biggest competitive game, dominating all metrics when it comes to overall players and usage at PC Bangs. The reason there were so many empty seats was because, ironically enough, the game was too popular. Because of the number of fans who wanted to get into the studio and how large the lines were, OGN made it so people could reserve seats online for specific games for only $5. This, of course, was abused by scalpers, who bought up a large chunk of tickets and flipped them for upward of $50 for bigger matches, including popular teams like SK Telecom T1 and CJ Entus. Teenagers and young adults tend to make up the large majority of the fans who come to see the game, so it's easy to see why high school students wouldn't be able to afford to see their favorite team play. This means those seats remain empty, and the crowd looks depleted for many of the games in the studio. This would have been a strong point in favor of Riot Korea splitting up the production, stretching out the match week and playing the games in two different arenas. However, with the opening of the new Seoul OGN Studios with 800 seats, the whole issue becomes a moot point. The scalpers can no longer hold hostage the seats in the OGN studio, and there's more than enough room for fans to come see their favorite teams and players. The summer split of LCK could have been perfect. The new spacious OGN studio, equipped with enough space to hold an army of fans. Ten competitive teams, nine of which are looking to stop SKT T1's quest for a fourth straight title. Coca-Cola as the main sponsor. 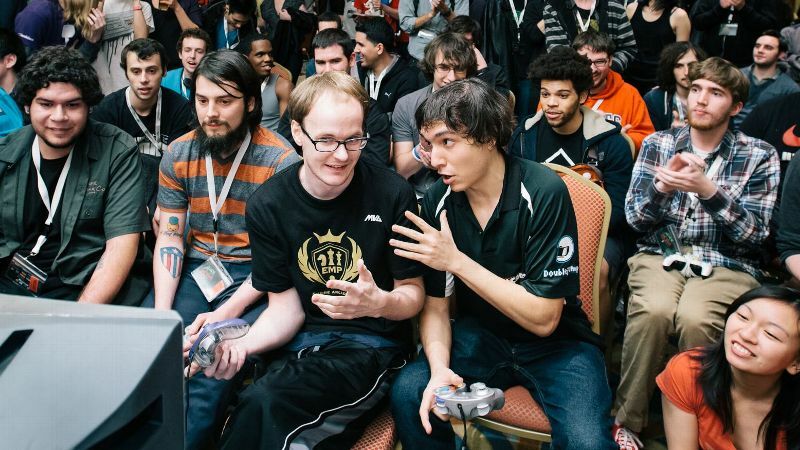 Four days a week of action and people finally starting to get into a habit of knowing how the Korean scene's schedule works after continuous changes the past few years. If you watched OGN matches over the past year, you might notice there are nights where half or more of those plastic chairs are empty. We're now left with a spread-out schedule, two different arenas and productions, and OGN, the creator of the Champions tournament, only being able to stream some of the matches. 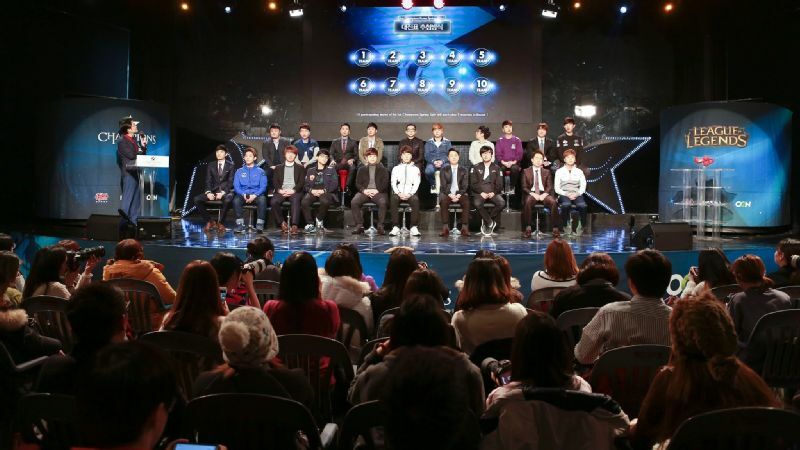 Riot Korea could be the possible other winner alongside SPOTV if this dual-broadcast formation works, but it could all fall apart if interest in the league starts to fall off due to oversaturation in the week -- it turns the viewership from enjoying the league to forcing people to choose specific teams and days they can tune in for. During the StarCraft: Brood War days, OGN wasn't by itself either. There was MBC Game, a fellow cable gaming channel, which broadcasted the Proleague alongside OGN. It had its own individual league, the MSL, to counter OGN's OSL. The main difference between OGN and MBC of yesteryear and OGN and SPOTV of today is that MBC didn't take away OGN's creation, the OGN Starleague, and split it in half for broadcast. They actually created their own Starleague, MBCGame Starleague, and carved out a legacy alongside OGN. SPOTV hosting the LCK doesn't do anything new. All it does is look like the other broadcaster of LCK. The broadcast team did a good job on the KeSPA Cup event in the offseason and it should have built off that before forcing a partnership with OGN. SPOTV's broadcasting of Champions most likely wouldn't have been such a big deal if the company hosted its own tournament or side-league. If China is allowed to have independent tournaments outside the regular season, like the Demacia Cup, what is stopping Riot Korea and SPOTV from hosting something like the KeSPA Cup or the old OGN Masters format while Champions is taking place? Champions follows a league system, where it takes months for the final results to pan out. Why not try to invent something new -- or recreate something old, in this case -- and bring back the old Champions Korea format of 16 teams, playing it out in the NEXON Arena over the course of the Champions summer league? It would give fans more chances to see their favorite teams and players and it would allow SPOTV to fix or change things as the audience becomes accustomed to the new league. Regardless of how good it is as a company, SPOTV is not going to be simply walk in and be better than OGN is at hosting a tournament it nurtured for four years. SPOTV might have the talent and resources to do a great job with Champions, but it lacks something far more valuable: the trust of the viewers.